From a very young age I remember religiously watching the Jacques Cousteau documentaries that were broadcasted on TV every Saturday afternoon. These documentaries were a window in the outside world and they allowed a young child like me to see the yellow flying saucer submarine, the divers wearing sleek yellow Spirotechnique gear, the old man himself diving and giving instructions to his comrade divers. I still remember trying to see the watches that the divers and scientists wore; these idols of my young age gave me the ‘watch bug’ that I have had ever since! 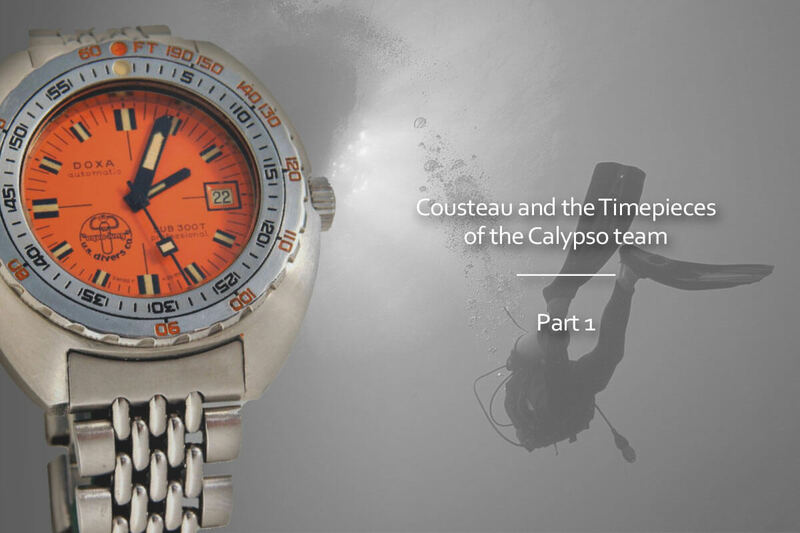 In this article we are going to explore the watches that Cousteau and his team used. The list is not final; of course there are some models that might be missing. However, from my research using pictures from the internet and some dedicated blogs and forums we’ve been able to make a pretty thorough list of the watches of Cousteau and his team. 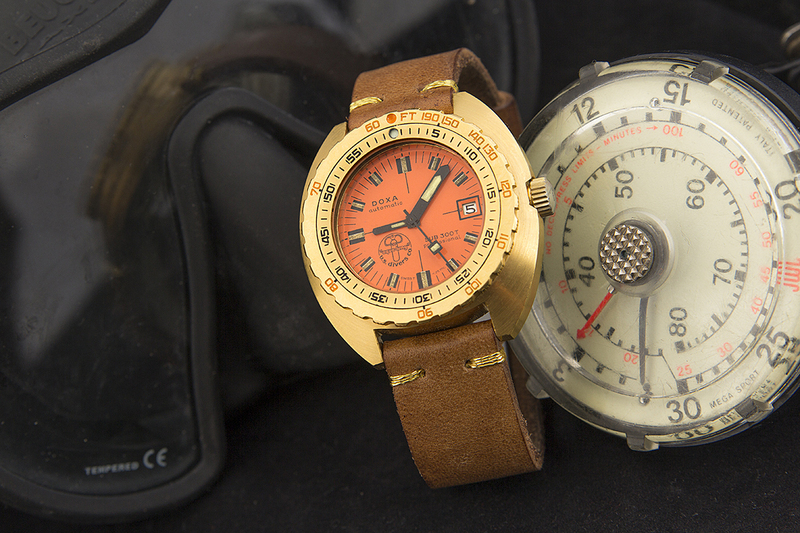 Back then, the mechanical divers watch was a tool, not a jewelry item like today. Companies invested money and effort to develop models and find technical solutions. It was during that era, in the 1960’s and 1970’s that the divers watch transformed to what we use today as desk-divers in front of our computer screens. 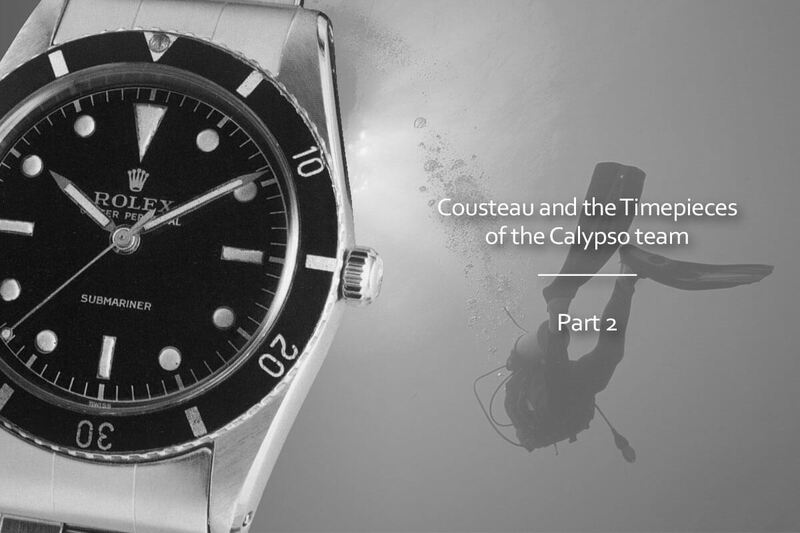 This first part of our three-part series of articles, focusses on Jacques-Yves Cousteau, his activities, his team and collecting the watches connected to this legendary diver and his team. Tomorrow we will share two long listings of the watches that Jacques-Yves Cousteau and his team have been wearing, during the 1960’s. And another article, part 3 of this series, that focusses on on the 1970’s and 1980’s. The listing is not entirely complete, however it comes close. 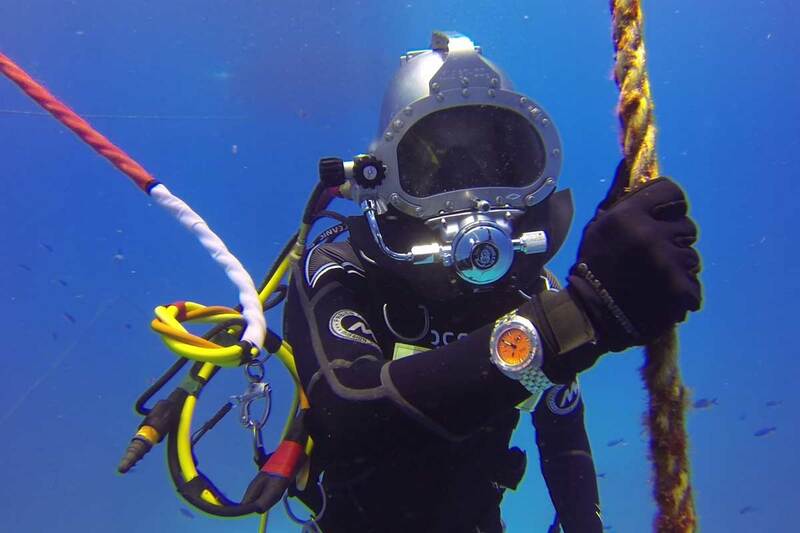 These articles will not cover the numerous commemorative watches that have been made in the past decade or two, but the actual watches worn by Cousteau and his team. Jacques-Yves Cousteau (11 June 1910 – 25 June 1997) was a French naval officer, explorer, conservationist, filmmaker, innovator, scientist, photographer, author and researcher who studied the sea and all forms of life in water. He co-developed the Aqua-Lung, helped develop underwater cameras and highly maneuverable small submersible vehicles, pioneered marine conservation and was a member of the Académie Française. Cousteau’s legacy includes more than 120 television documentaries, more than 50 books, and an environmental protection foundation with 300,000 members. 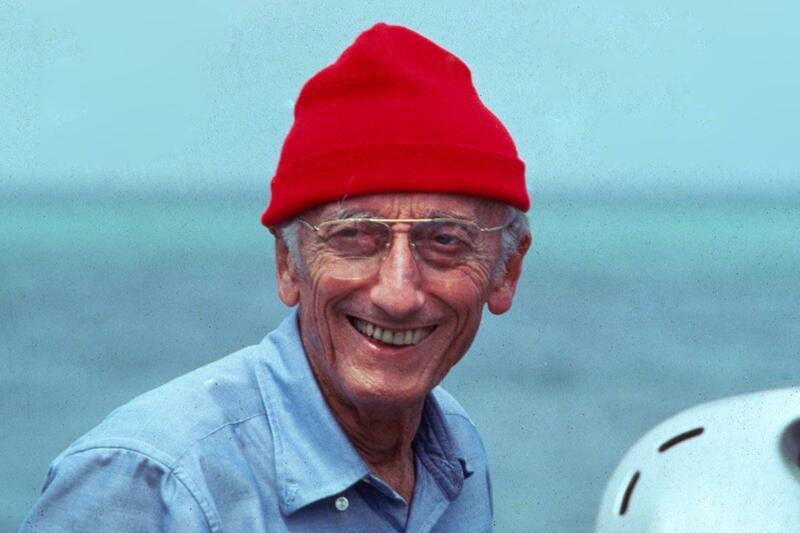 Cousteau was instrumental for developing SCUBA gear. He first met Emile Gagnan which then was an engineer employed by the Air Liquide company in December 1942. 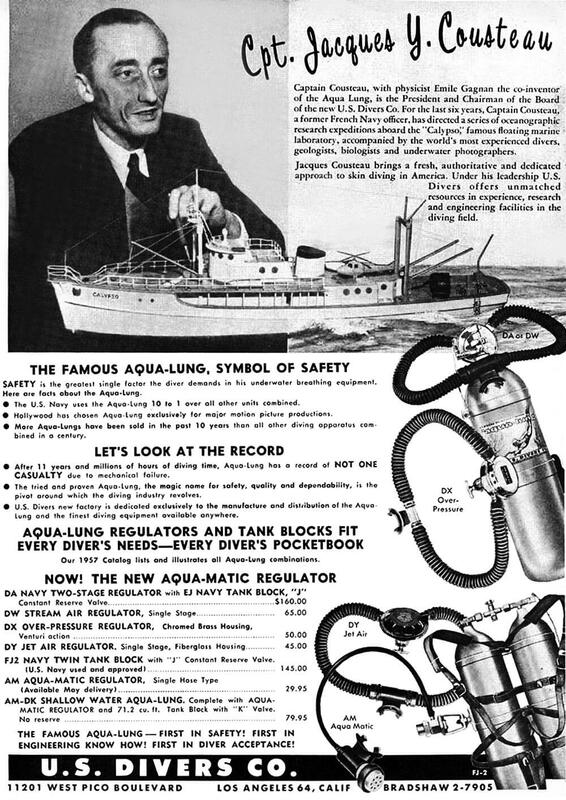 On Cousteau’s initiative, the Gagnan’s experimental regulator was adapted to diving, and the new Cousteau-Gagnan patent was registered some weeks later in 1943. After the war, in 1946, both men founded La Spirotechnique (as a division of Air Liquide) in order to mass-produce and sell their invention, this time under a new 1945 patent, and known as CG45 (“C” for Cousteau, “G” for Gagnan and “45” for 1945). The Aqualung, as the invention was dubbed for the English speaking world, was a twin hose open-circuit unit in which compressed air carried in back mounted cylinders was inhaled through a demand regulator and then exhaled into the water adjacent to the tank. This step was revolutionary for underwater exploration and Commander Cousteau used the SCUBA apparatus too its full potential. When the Aqua-Lung became available for commercial use, divers around the world found a scuba device smaller and easier to carry than its precursor (Rouquayrol-Denayrouze apparatus), which in fact was almost completely unknown outside of France. In addition, and most importantly, the Aqua-Lung could be mounted on stronger and reliable air tanks holding up to 200 atmospheres, allowing extension of diving duration to more than an hour at significant depths (including the needed time for decompression stops). In 1949, Cousteau left the French navy and a year later he founded the French Oceanographic Campaigns (FOC) and leased a former Royal navy minesweeper vessel, which he called Calypso. 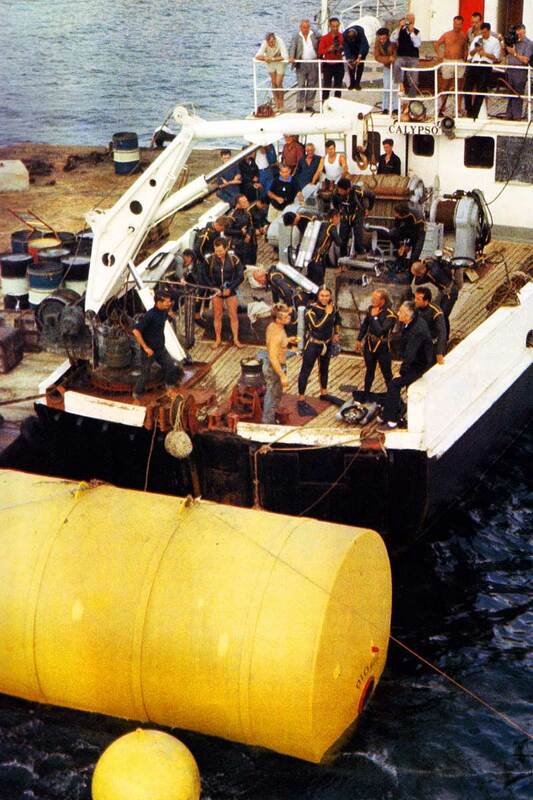 He refitted the ship as a mobile laboratory for field research and as his principal vessel for diving and filming. From that point onward Cousteau started to create his legacy; he published with Frederic Dumas his first book in 1953 and in 1956 his film (co-produced with Louis Malle) with the same title ‘Silent World’, and won the Palme d’ Or at the Cannes film festival. 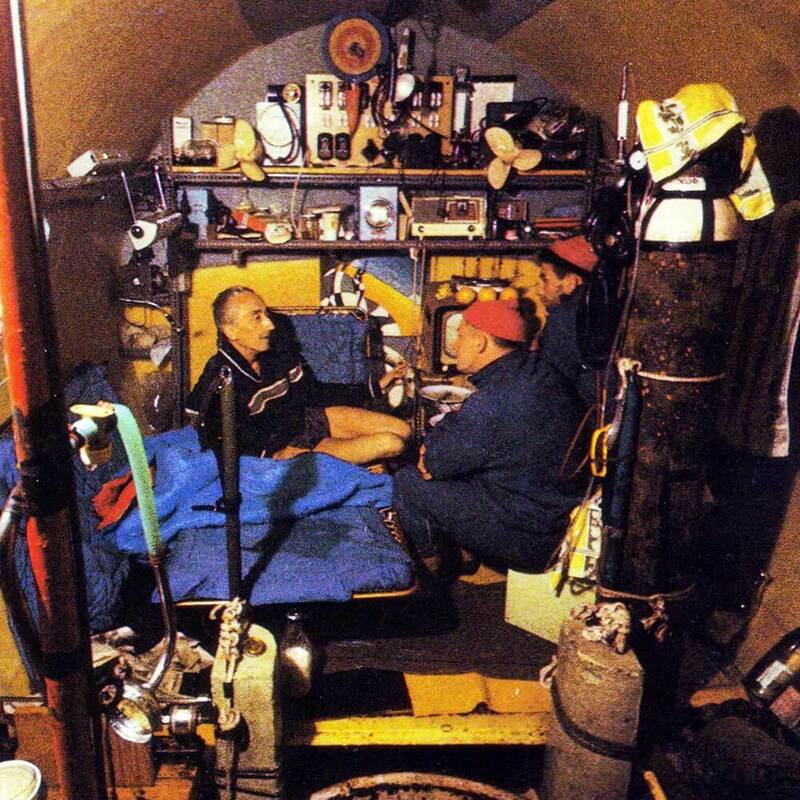 In 1964 he produced another splendid film the ‘World without Sun’ in which he chronicled life on Conshelf II, the first ambitious attempt to create an environment in which men could live and work on the sea floor. In it, half-dozen oceanauts lived 10 meters down in the Red sea off the Sudanese coast in a starfish shaped house for 30 days. Last but not least what made Cousteau popular and truly established himself as a legendary explorer in the conscience of the masses were mainly his two legendary documentary series named ‘The Undersea world of Jacques Cousteau.’ Volume 1 started in 1966 and ended ten years later in 1976. Volume 2 started in 1977, with the first episode being Calypso’s search for the wreck of HMHS Britannic that sunk in 1916 in the Kea Channel at the Aegean Sea, and finished in 1982. The Amazon series followed in 1982, and ‘Cousteau’s Rediscovery of the World’ volumes I & II (1986-1994). On these films Cousteau and his divers captured the imagination of the world and showed for the first time underwater footage and alerted the public and governments about the environmental dangers that our civilization faced. Above all, with his voyages and the work that Cousteau did, he influenced many people all around the world. His pioneer work transformed the way we look at the sea either from a cultural standpoint (raise awareness), while his technical perspective (innovations) was instrumental for future sea explorers. Although not a saint, Commander Cousteau was one of the most influential figures of the past Century. 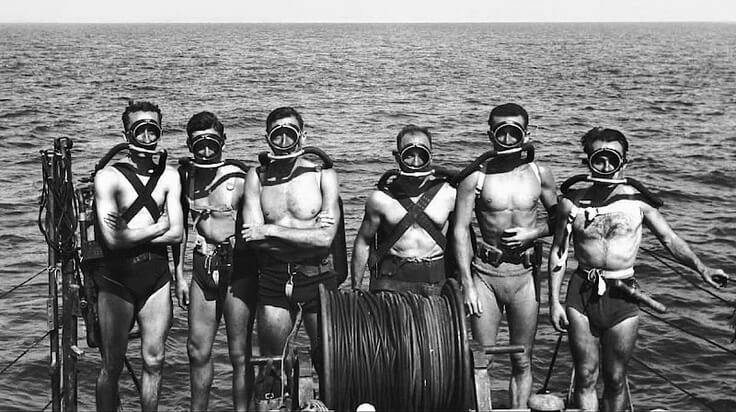 As we will show you in detail tomorrow, the Calypso divers and Cousteau himself wore a large variety of divers. Some of them, not so well known, some which became legends. On the vintage front, early Rolexes command BIG money. Sea Dwellers and later Submariners also are priced extremely high. 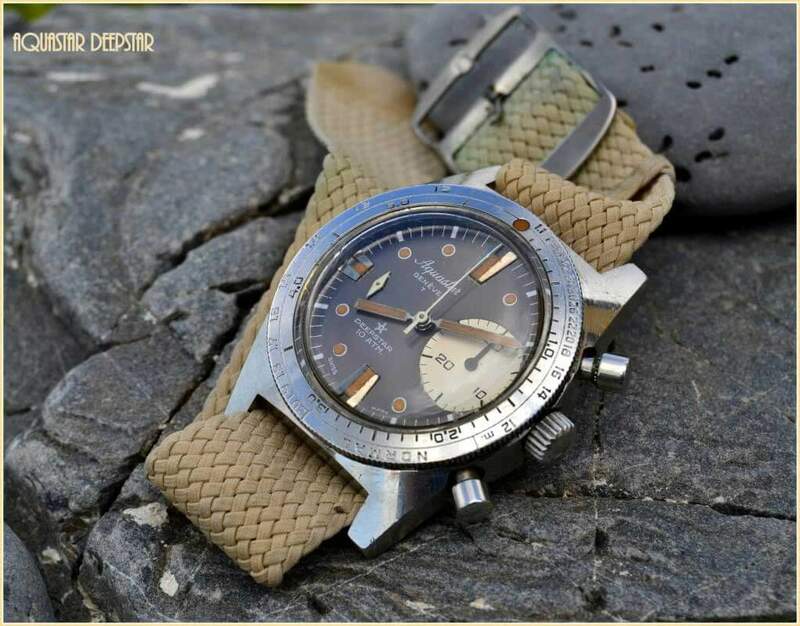 Early Omega Seamaster 300’s, the Blancpain Fifty Fathoms and the original Ploprof 600’s and 1000’s are very difficult to be found in a NOS condition and if you find one, the price is most likely quite steep. Cheaper alternatives are the Z.R.C and the Lip Nautic-Ski and perhaps the Depthomatic by Nivada. However these models too are extremely rare to be found in a proper condition. You see, in those days the watches were tools and not jewelry or conversation pieces. The Deepstar from Aquastar and the Doxa 300’s also are very difficult to be found in good condition. The Cousteau connection made these model’s prices in recent years to rise above € 5.000 Euros for a good example. 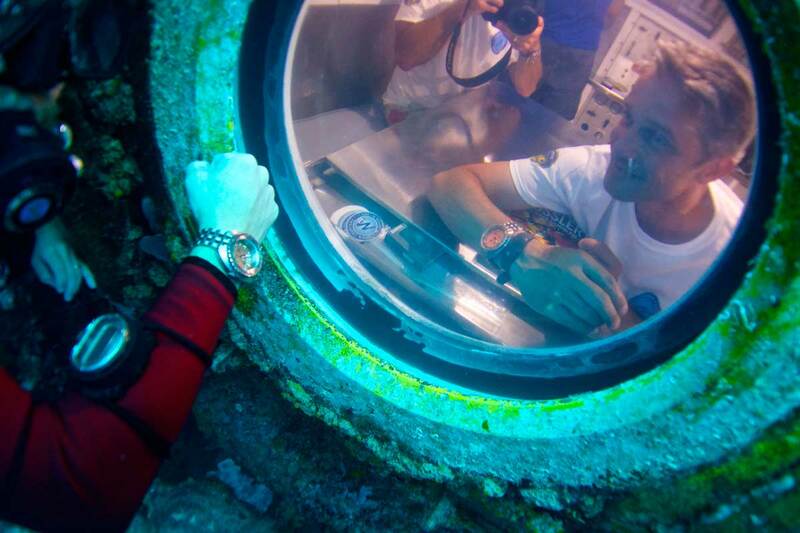 What happens if someone wants to buy new a watch that is linked with Commander Cousteau and his divers however? The answer to that question is simple. There are models that clearly fall under that category however few contain the ‘tool DNA’ of their ancestors although they are better manufactured with modern materials. Blancpain still produces the FF and the Bathyscaphe, however these are luxury watches and not the tools their ancestors used to be. Rolex still produces the Submariner (Ref.114060 No Date & ref.116610 Date) and the Sea-Dweller (Ref.116600) with state of the art technical innovations such as ceramic bezels, glide lock extensions on the bracelets, and better and improved movements. Omega also introduced a re-edition of its iconic Seamaster (Seamaster Master Co-Axial) with the cal.8400 and ceramic bezel as well. The watch has a faux patina on the dial in order to mimic the aging of the tritium dials its ancestors had. 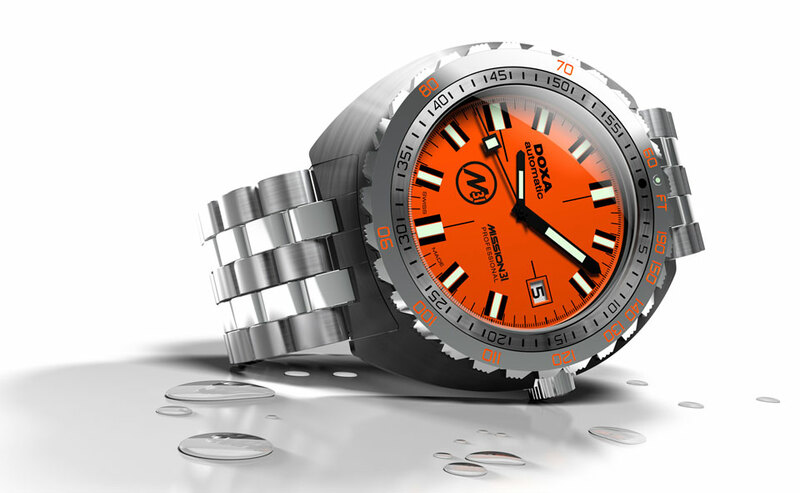 The Ploprof has also been reintroduced by Omega although it is now an amalgam of a tool/luxury diver. 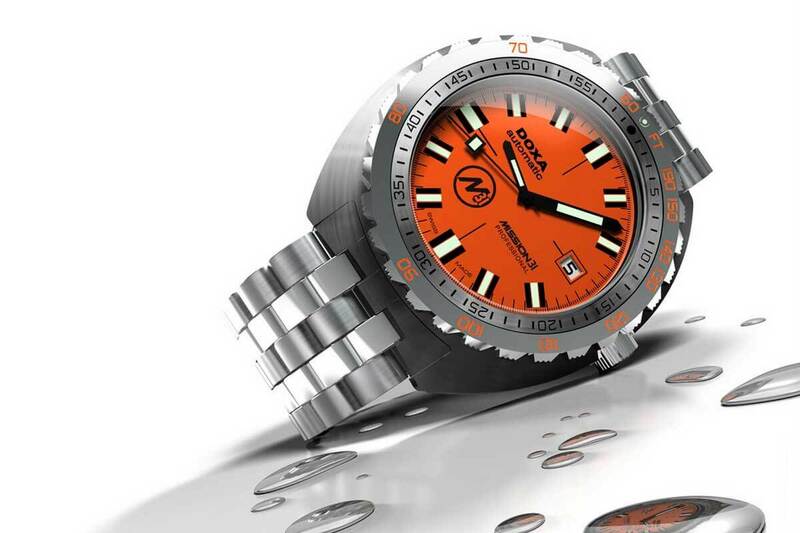 Lip quite recently reestablished the Nautic-Ski in three dial variations with quartz and automatic Miyota calibers. ZRC also produces a re-edition of their classic diver of the 60’s that marries the charm of its unique design with modern materials. 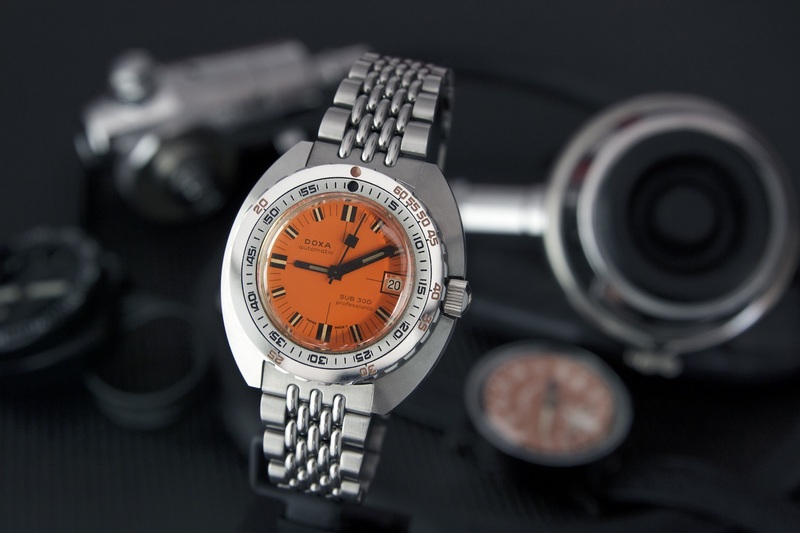 Doxa last but certainly not least, continues to produce its iconic sub in various forms and variations. Models like the long-sold-out 600T and 1000T were almost identical in dimensions to the iconic SUB 300, while the 1200T still continues this tradition. Also Doxa, having close relations with the Cousteau family, was chosen to provide the official timepieces for Fabien Cousteau’s Mission 31 endeavor. Fabien Cousteau and his team spend 31 days submerged underwater in the name of science and discovery, breaking his grandfather’s Conshelf II underwater saturation mission record by one full day to honor the 50th anniversary of Jacques-Yves Cousteau’s original mission. The era, where the mechanical watch was essential for the common people and the professionals of course has passed long ago. Now we can check the time anywhere (mobiles, computers, even microwave ovens). The tools of the past with their unparalleled design and reliability are now obsolete. A Nikon F or a Rolex Submariner were tools that lives and careers were dependent upon, now they are celebrated items that remind us of the glorious past. Most professional divers wear their Casio G-shocks because it gets the job done and they would replace it easily cause it’s cheap. It is most certain that if Cousteau and his divers that submerged wearing a compass, a depth gauge and a watch encountered a diver nowadays they would be surprised. However, by celebrating and examining the past we have a better understanding of the present and we might have a better grasp of the future. 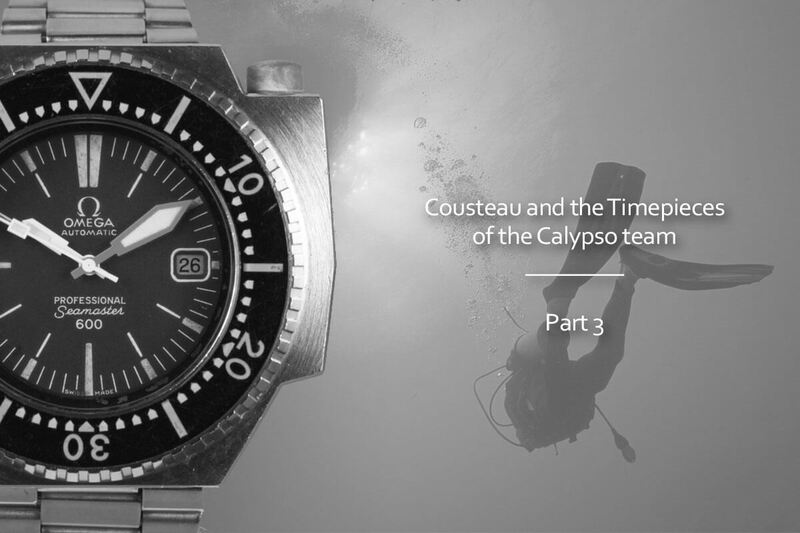 Cousteau and the Calypso team were instrumental for the development of the divers watch among many others innovations. By looking at the watches that they used and abused, nostalgia and admiration comes to our mind. Exactly the same feelings that we have when we buy a new mechanical dive watch. Most of us will dive with our G-shocks but we will never stop to appreciating and admiring a mechanical purpose built diving timepiece. Certainly not here at Monochrome! I have been reading your three-part series about Jacques-Yves Cousteau and his watches and enjoying it a lot. There was two inaccuracies that I noticed in part one where you list the manufactures that still produce the watches, but updated models today. The OMEGA Seamaster Master-Co-Axial has the 8400 caliber and the new Master Chronometer Ploprof has the 8912 caliber. It’s predecessor, that was reintroduced in 2009, houses the 8500 caliber. LOL, you forgot the Zodia Se Wolf! Along with the Blancpain it was the early leader, and the first watch capable of going to 200 meters.